Boca insurance agency Seeman Holtz Property and Casualty has purchased a major technology platform company. Boca insurance agency Seeman Holtz Property and Casualty has bolstered its technology offerings with a major acquisition. The Boca insurance agency has announced its 50th acquisition—Boston-based online home and auto insurance technology platform, Goji (formerly Consumers United, Inc.). Goji operates an online analytics platform that matches clients’ needs with the right coverage at the best price through an integrated network of more than a dozen insurance carriers. Seeman Holtz Property and Casualty will integrate Goji’s platform throughout its divisions and vertical offerings, while Goji’s clients will get an immediate boost with access to the 400+ carrier relationships and the 50 state agent licenses of the Boca insurance agency. The combination also improves Seeman Holtz Property and Casualty’s ability to expand digital marketing channels and partnerships. Seeman Holtz Property and Casualty has been in expansion mode with numerous acquisitions, and it continues to look for more high-quality companies. Seeman and Holtz started Seeman Holtz in 1998 as a firm of financial advisors for pre- and post-retirement planning firm. 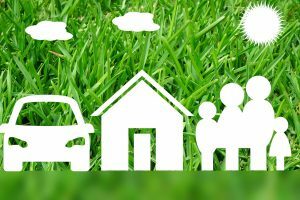 Since then, the Seeman Holtz family of companies has expanded to include coverage for home, life, auto, boat, private client and business insurance.